If any roast beef survived the Christmas feast, here are genius tricks for upgrading leftovers from F&W Test Kitchen pro Kay Chun. 1. Homemade Beef Broth. Sauté chunks of roast beef with a chopped onion until golden, then add water and simmer for a light beef broth. 2. Minute Steak Sandwiches. Fry thin slices of beef in a skillet and arrange them on a baguette. Top with sautéed onions and cheese, and toast under the broiler until the cheese melts. 3. Beef Carpaccio with Parmigiano-Reggiano. Thinly slice the beef and arrange it on a serving platter. Drizzle with extra-virgin olive oil, sea salt, cracked peppercorns and shaved Parmigiano-Reggiano. 4. Negimaki Rolls. Thinly slice the beef and wrap it around roasted asparagus or scallions. Brush with soy sauce and broil until browned and crispy in spots. 5. 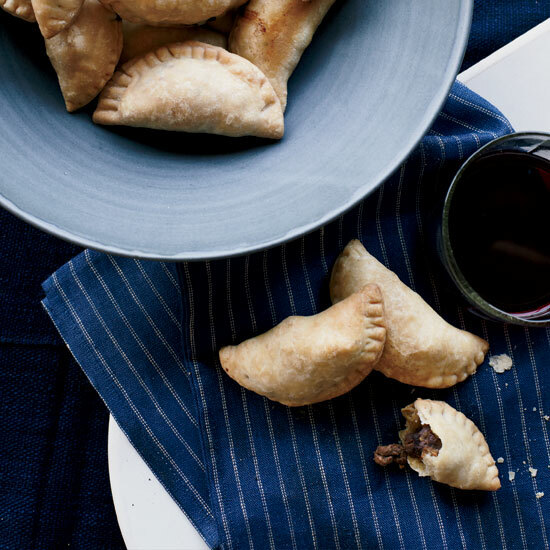 Spicy Beef Empanadas. Finely chop the beef and mix with chopped onion, garlic and spices. Use store-bought pizza dough to enclose the beef filling. 6. Roast Beef Scaloppine. Bread and pan-fry thin slices of beef until crispy, then top with fresh herbs or a chopped vegetable salad. 7. Roast Beef White Gravy. Make a roux, whisk in the milk, then add sautéed chopped beef and plenty of cracked black pepper. Serve with biscuits and/or fried chicken. 8. Smoky Beef-and-Bean Chili. Cut the roast beef into 1-inch pieces, then combine with your favorite mix of beans, vegetables and smoked paprika. 9. Roast Beef Hash. Sauté potatoes, onions and beef for a heartier breakfast hash. 10. Roast Beef Sloppy Joes. Finely chop the roast beef, then simmer with chopped onions, garlic, tomato sauce and light brown sugar. Serve on toasted buns.